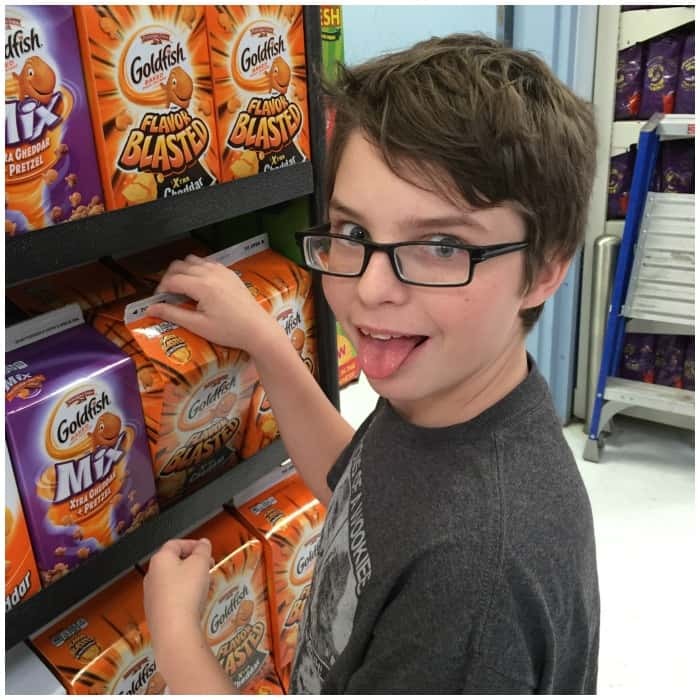 My son and I were at Walmart and he asked me if I could get him the BIG box of Goldfish® Crackers. And when I asked him why (kind of a random request from him, honestly) he just smiled. I knew. I knew exactly what he wanted. 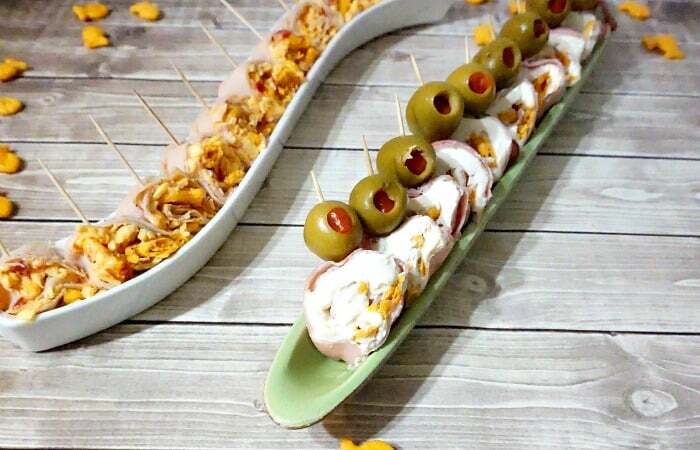 I hadn’t made them for him in a while, but Easy Ham and Goldfish® Cracker Sushi Bites were on his mind. Heh. 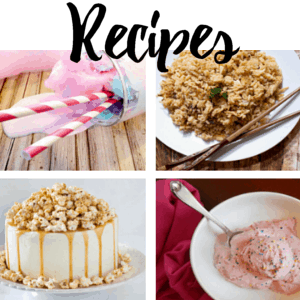 I used to make these all the time for him, for a quick after-school snack, but he’d gotten older (he’s 13–such a big boy now!) and he walks home from school then immediately darts into his room to play video games, do homework or dashes outside to practice lacrosse. So we don’t really get a chance to hang out in the afternoons like we used to when he was little. But, obviously, those memories of our yummy Sushi Bites…well, they stuck. Which is awesome. My son waited impatiently for me to make our Sushi Bites. I invited him to help, but he insisted that he’d just mess it up (he wouldn’t, but I understand–he just wanted me to do it fast–LOL!). So, I whipped them together and VIOLA! 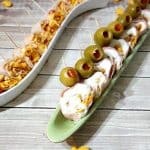 There were these awesomely yummy little cheese-filled cracker and ham roll-ups with olives and…suddenly there was turkey and pimento cheese being slung around and BAM! We had a whole smorgasbord of Sushi Bites! LOL! 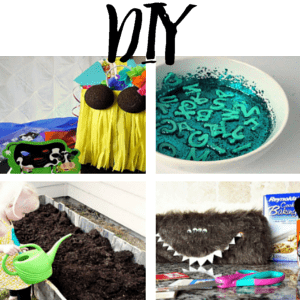 So, this is a pretty easy recipe, so you can use the written directions below, or run with scissors and just figure it out on your own using the pictures. Heh. 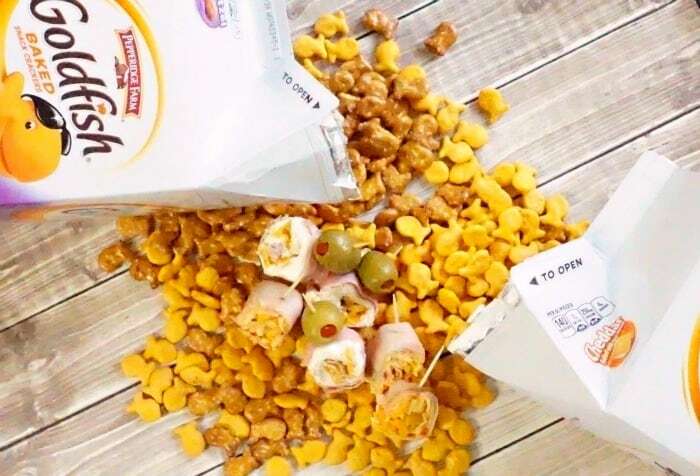 Easy, fast after school snack for kiddos on the go...these Easy Ham and Goldfish® Cracker Sushi Bites are so yummy, mommy might have some, too...heh. 24 olives black or green--my son loves green, but I like black...go figure! 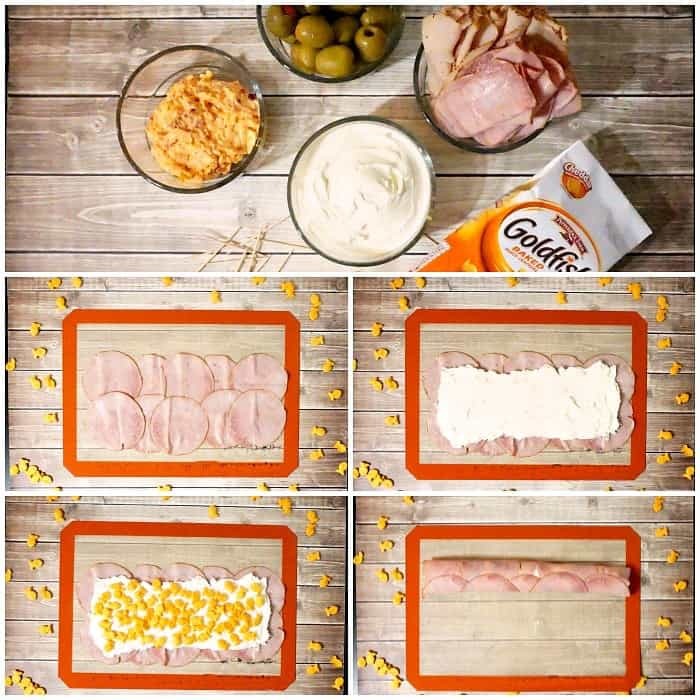 Using a baking sheet or wax paper, lay down a layer of lunchmeat in two rows, overlapping a lot. Spread the cheese over the lunchmeat, leaving a generous edge un-covered on all the edges, to allow the cheese to spread but not squish out when rolled. 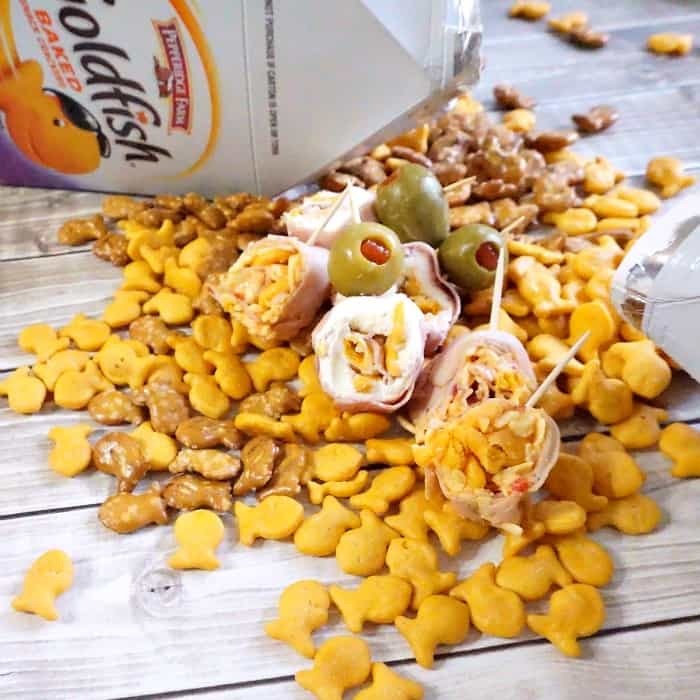 Drop your favorite flavor Goldfish® crackers over the cheese, patting them down into the cheese a little. Lift the edge of the wax paper or baking sheet along the long edge of the lunchmeat and roll the lunchmeat tightly (but not so tight that you tear it). Finish rolling the lunchmeat over and kind of mush it a little to make the cheese stick everything together. Using a sharp knife, slice 1/4 to 1/2 -inch thick slices of the roll. 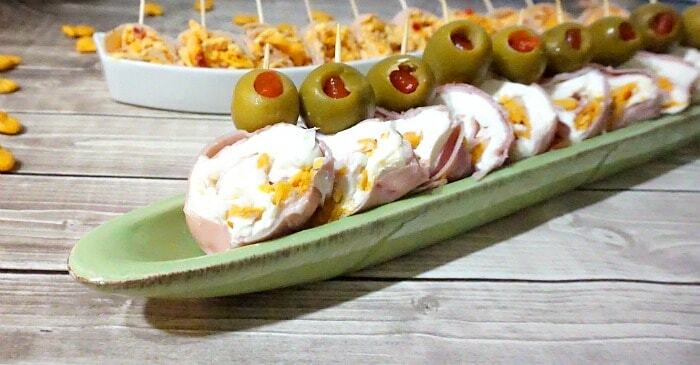 Stick the olive on a toothpick, then place the other end of the toothpick into the sushi slice. 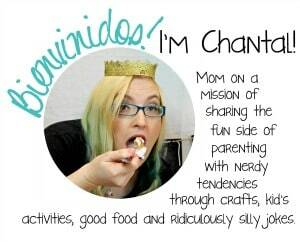 Place in a decorative platter for silliness sake and serve to your after-school-party-crowd! 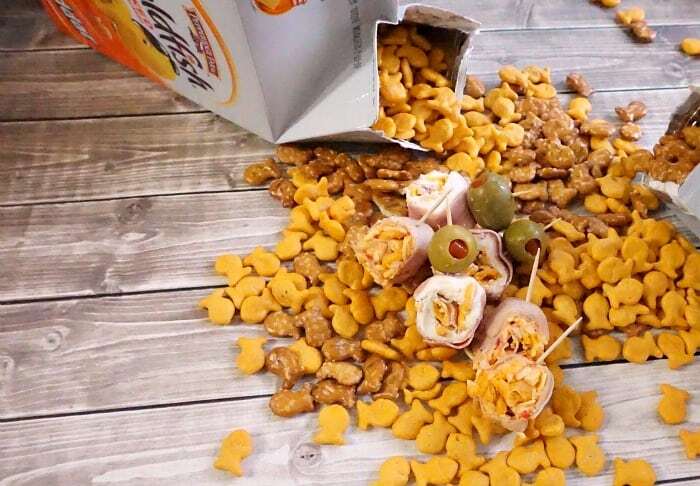 So, what do you think about these Easy Ham and Goldfish® Cracker Sushi Bites? 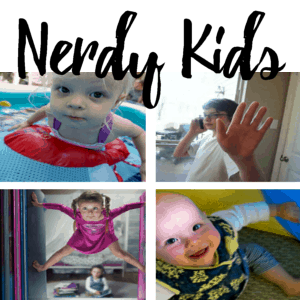 You think your kids might enjoy them? 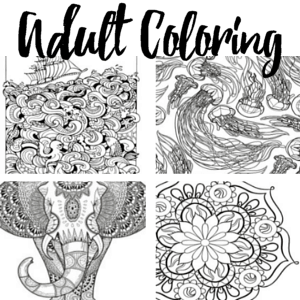 Hit me up with a comment below and let me know if your little kiddos had fun gobbling them up after school!